A dining table inside a house is a symbol of life, a symbol of presence of people or more properly saying a family whore shares its best moments together. So equating this fact with the earlier approach, a dining table is also the symbol of unity and togetherness. We consider your togetherness to be pretty precious. 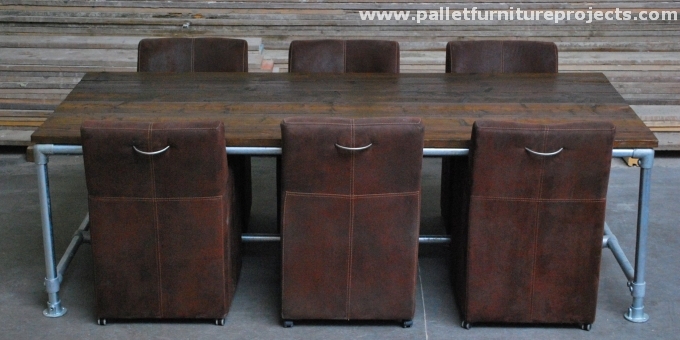 Here in the pallet world we combine the people, we connect them with each other, and these dining tables are a best demonstration of our statement. Not only would they benefit you financially, but would also provide you with a platform to sit together. 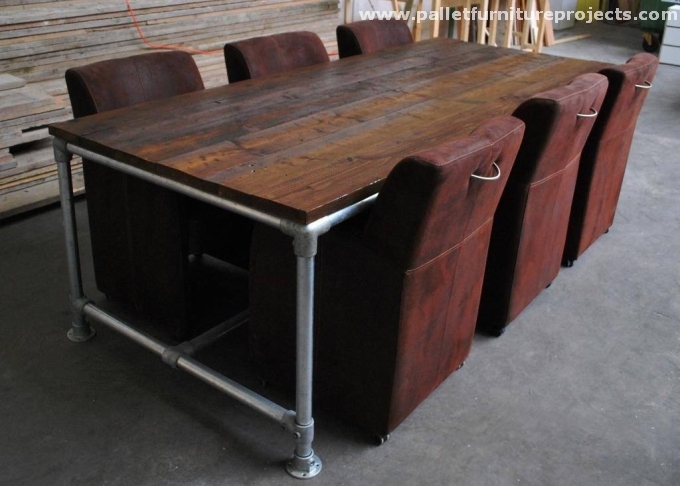 The dining table shown here in this project is all the creation of wood pallet, but just to add some more style and spice we have used some discarded iron pipes in the frame. 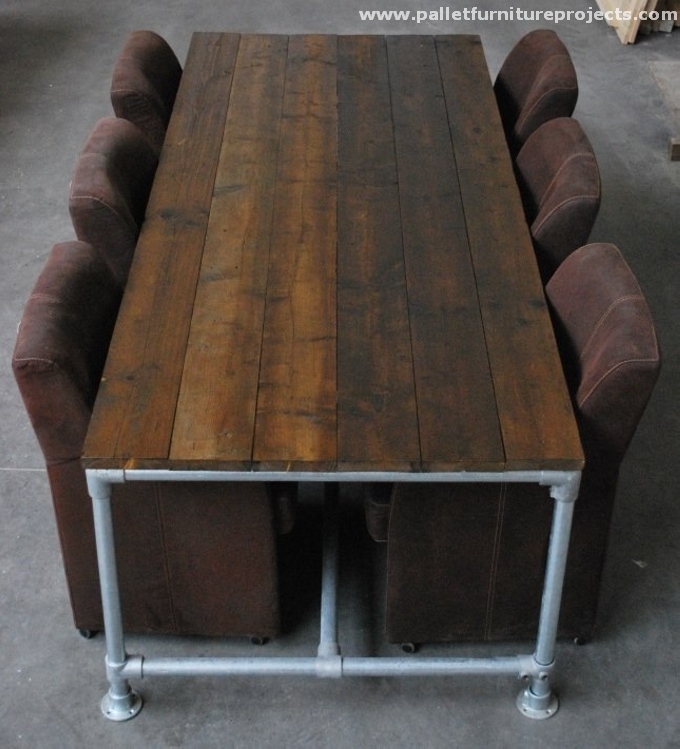 The reclaimed lower frame and all four legs are made using the iron pipes. This has always been our prime motto to serve the humanity, giving happiness to people gives us happiness. That’s what keeps us motivated to keep working on several ideas just to comfort you guys. 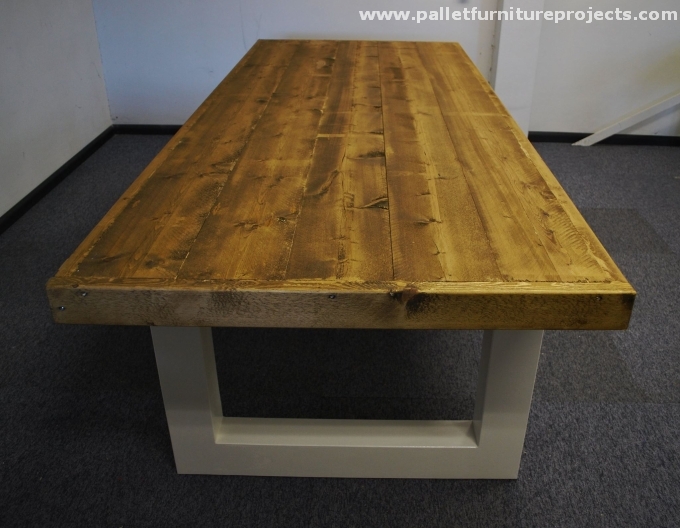 So here is the second reclaimed wood pallet dining table. I believe this is one of the best pallet wood creations so far, this pallet wood dining table, in none of the ways is lesser than an expensive market based dining table. But you know what, here you just don’t bother about the finances because our best buddy the pallet would be our savior here again. 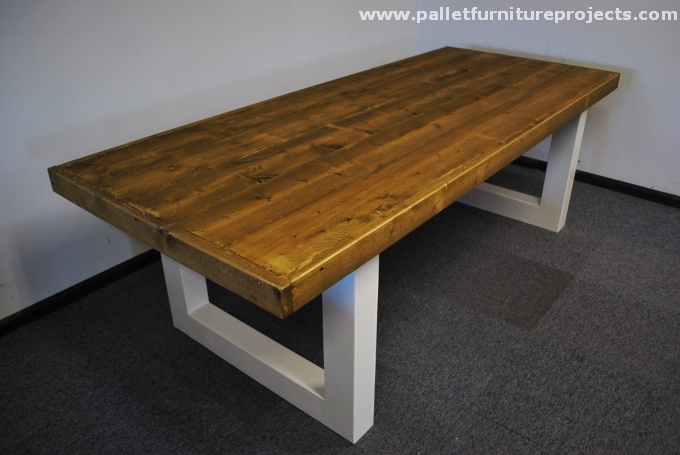 We can see that in the whole pallet wood reclaimed dining table, we have used nothing else but only pallet wood. 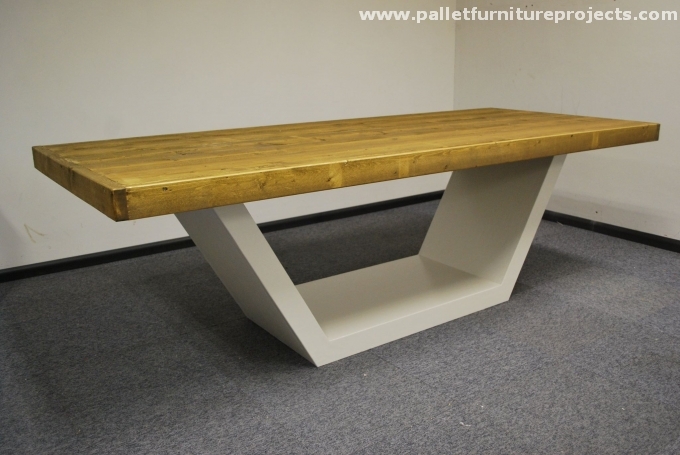 Straight wooden top and curved classy base of the dining table just makes it distinguished. And its slim design won’t capture much of your space. 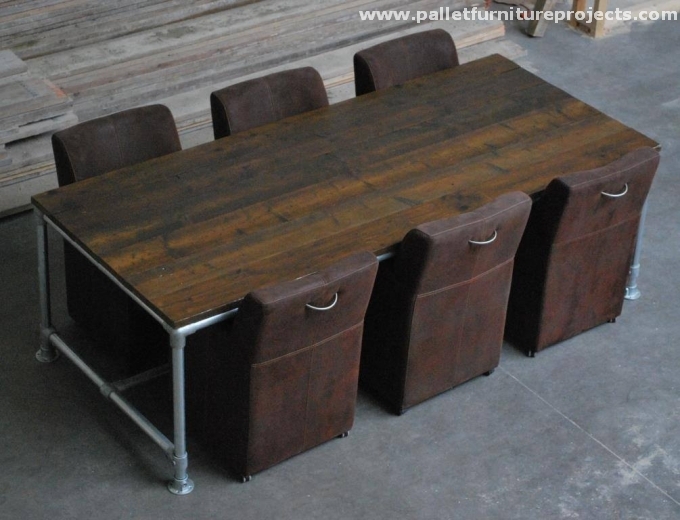 So dining is made more easy with these wooden pallet reclaimed dining tables.